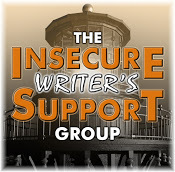 It’s the first Wednesday of the month, which means it’s time to share our hopes, dreams and fears with the Insecure Writers Support Group, the brainchild of Ninja Captain Alex J. Cavanaugh, and this month’s hosts are; Erika Beebe, Sandra Hoover, Susan Gourley, and Lee Lowery! This month’s optional question is: What pitfalls would you warn other writers to avoid on their publication journey? (By the way, I’m off camping this week, so don’t be upset if I don’t reply straight off – I’ve no idea what the wi-fi will be like). That was a funny exchange. Definitely don’t overwrite. I loved this, especially having beta read the manuscript. It’s such a perfect reflection of these two characters. Enjoy your camping trip! This left me wondering… how many frog’s eyes do they have left? Yeah, I’ve learned to cut, cut, cut because I almost always overwrite. 🙂 Have a great camping trip! Sometime, you just have to let them talk – then edit. Less IS more. About to go back to the trimming board after BETA reader suggestions. It’s nice to know where to start! Enjoy nature!! Less is almost always more! Good advise, Angela! Have a fantastic camping trip! What an adorable way to answer the question. I was quite entertained. Fun. Happy belated IWSG. Excellent advice from the characters! Enjoy your camping trip, hoping you have great weather.